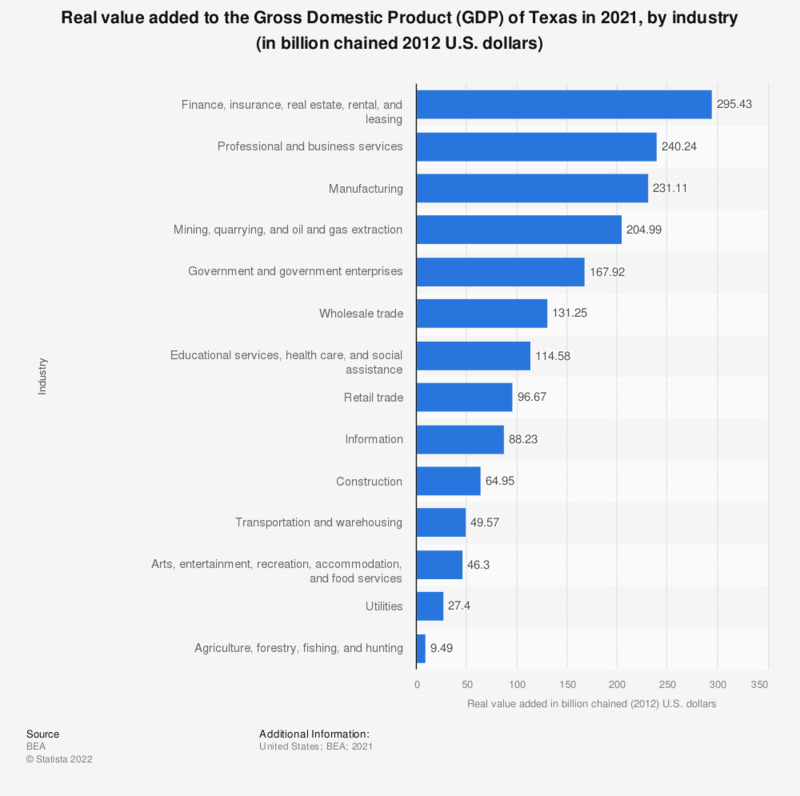 This graph shows the real value added to the Gross Domestic Product (GDP) of Texas in 2017, by industry. In 2017, the mining industry added 167.95 billion chained 2009 U.S. dollars of value to the state GDP. Chained (2009) dollar series are calculated as the product of the chain-type quantity index and the 2009 current-dollar value of the corresponding series, divided by 100. Because the formula for the chain-type quantity indexes uses weights of more than one period, the corresponding chained-dollar estimates are usually not additive.